Looks like a good smattering of black Hollywood’s best and brightest will not be in Los Angeles’ Shrine Auditorium come Oscar night, but instead will be fellowshipping with the residents of Flint, Mich., to raise money and awareness for the beleaguered city struggling through an odious water crisis. Director Ava DuVernay, singer Janelle Monáe, actor Jesse Williams, comedian Hannibal Buress and director Ryan Coogler will be on deck for the free event this Sunday at the city’s Whiting Auditorium, BuzzFeed News reports. Dubbed #JusticeForFlint, the event will reportedly raise both awareness and funds for those affected by the water crisis. It will also be live-streamed via Diddy’s Revolt, and donations will be collected at the event and via text. Members of the Flint community will reportedly share their stories with the audience. 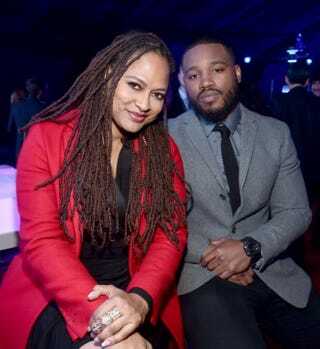 The event is sponsored by Coogler’s Blackout for Human Rights, an activist collective committed to immediately addressing the “staggering” human rights violations in the United States. The Creed director told BuzzFeed that the event will be a night of entertainment, unity and healing.